Government green energy programs are supposedly about subsidizing new energy technologies to reduce their cost and increase their adoption rate. But it appears to me that they are in fact merely about subsidizing favored companies. Over the last couple of years, trade remedy actions on clean energy products have intensified. In the wind industry, the Wind Tower Trade Coalition, an association of U.S. producers of wind towers, brought an AD/CVD complaint against imported wind towers in 2011. The U.S. Commerce Department started an investigation, and announced a preliminary decision in December 2012. This decision found both subsidization and dumping in relation to Chinese imports and imposed an antidumping tariff of between 44.99% and 70.63%, as well as countervailing duties of 21.86%–34.81%. The Commerce Department also established a separate antidumping duty of 51.40%–58.49% on Vietnamese wind tower manufacturers. In the solar industry, in October 2011, the Coalition for American Solar Manufacturing, a group of seven U.S. solar panel manufacturers led by Solar World Industries America, accused Chinese solar panel companies of dumping products in the United States. The Commerce Department opened an investigation in 2011 and announced the final ruling in 2012. The decision was to impose antidumping tariffs ranging from 24% to 36% on Chinese producers. All of those actions are not only not consistent with reducing the cost of new energy technologies, they actually raise the cost of wind and solar. The only benefit of these actions is to improve the bottom line of crony-connected green energy companies. There is no reason to believe that this cronyism is not the real rational behind the whole program. If government subsidizes consumer solar purchases 30% and then raises solar panel costs by 30%, they are not making the technology cheaper for consumers, but just finding an excuse to pour tax money into the pockets of a few folks like Elon Musk. I find it hard to be surprised nowadays by how low trade policy can sink. So I was depressed rather than surprised when I read this update on Magnesium trade. In 2005, U.S. Magnesium Corporation, the sole producer of magnesium in the United States, succeeded in convincing the U.S. International Trade Commission and U.S. Commerce Department to impose duties on imports of magnesium from competitors in Russia and China. Before toasting this outcome with some clichéd or specious utterance about how the antidumping law ensures fair trade and a level playing field for U.S. producers, it is important to understand that downstream, consuming industries (those U.S. producers that require for their own production the raw materials and intermediate goods subject to the antidumping measures) have no legal standing in these cases. Statute forbids the U.S. International Trade Commission from considering their arguments or projections about the likely consequences of prospective duties. Statute requires that the ITC consider only the conditions of the petitioning industry. In other words, the analysis is slanted. The antidumping law codifies these evidentiary asymmetries, which makes it easier for U.S. suppliers to cut-off their U.S. customers’ access to alternative sources of supply. In other words, in the case of magnesium, on the interests of the US Magnesium Corporation can be considered by the US Government in evaluating trade policy - the interest of the other 300 million of us is illegal even to mention. But on trade policy formulation, it seems that the right hand doesn’t always know what the left hand is doing. 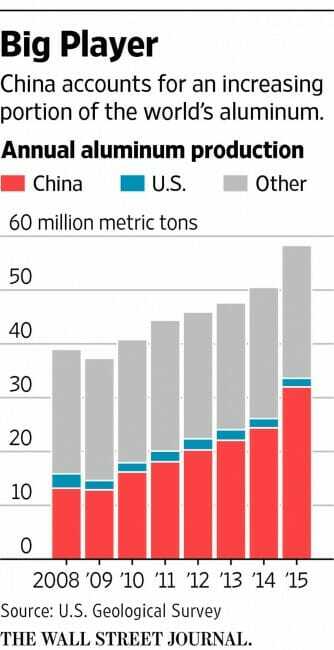 Last year, while magnesium imports from China were subject to U.S. antidumping duties, the Obama administration launched a WTO case against China for its restraints on exports of raw materials, including magnesium. That’s right. 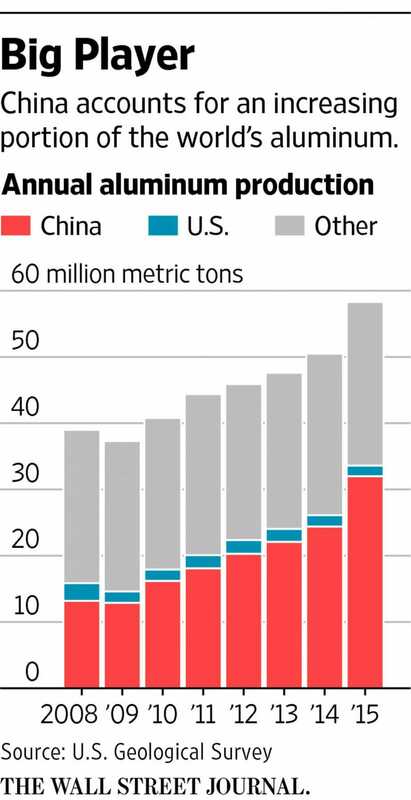 The U.S. government officially opposes China’s tax on exported magnesium because it imposes extra costs of U.S. consuming industries, but it insists on enforcing its own antidumping duties on magnesium imported from China despite those costs.